Now availiable, both The Dita Audio Answer, and the Answer Truth Edition are availiable to buy on Hifiheadphones. Or if you need to audition them before purchase, you can book an appointment at our demo room on the south coast near Brighton.! Shure has obviously been looking at how the in-ear market has been developing; the popularity of the sub-£50 in-ear headphone has inspired a new addition to its esteemed lineup in the form of the SE112. The Aedle VK-1 Headphones are here! The Aedle Vk-1 is now available at Hifi Headphones. A closed back, on ear portable headphone with an exciting sound and superb style. The aluminium driver housing and brown leather compliment each other very well, making them very light and comfortable. Edition 10 Ultrasone Open Back is coming soon! Ultrasone Germany announces the release of the Edition 10, their first open back special edition headphone and it is their most luxurious to date. The Edition 10 feature Zebrano wood ear cup inlays, Ethiopian Sheepskin ear pads, Titanium Plated Drivers, Kevlar coated cabling and are limited to a run of 2010 individually numbered units. The ear cups are a beautifully designed combination of form and function, this low resonance lightweight design is finished in galvanic Ruthenium plating and Zebrano coated with four layers of clear lacquer for protection. The inner cup and headband pad is adorned with reddish brown Ethiopian Sheepskin - the worlds softest leather. The individually matched (tolerance +/-0.4) and specially tuned 40mm Titanium plated drivers have been designed specially for this open backed design. Cabling is silver-plated oxygen free (99.99%) pure copper with Kevlar casing and is designed to be balanced input ready so you do not have to change the entire cable for balanced configuration. Edition series headphones have Ultrasone´s newest S-Logic™ Plus technology. Edition 10 headphones also contain MU-Metal shielding that reduces magnetic field emissions by up to 98% as compared to conventional headphones. 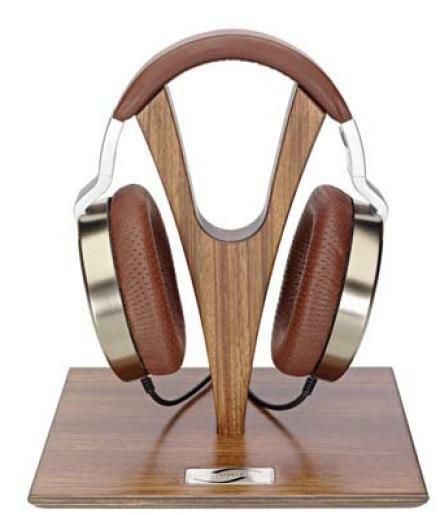 Finally each Edition 10 comes with a striking hand crafted Zebrano wood headphone stand and its own wooden storage box. Ultrasone Edition 10 will be available from November 2010! RRP to be confirmed. 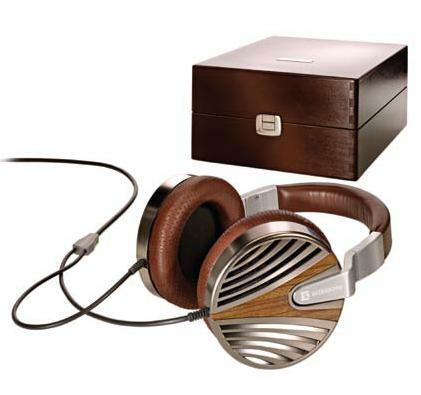 For more information on the Ultrasone Headphone range please visit the HiFi Headphones store.